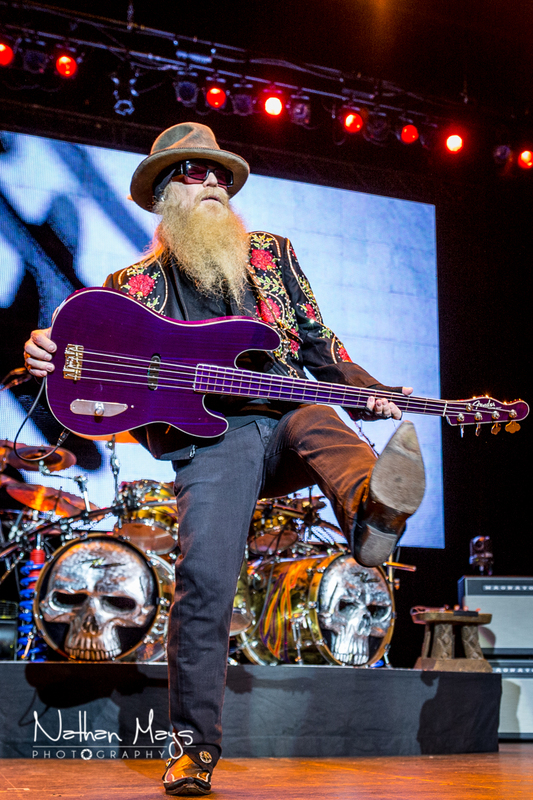 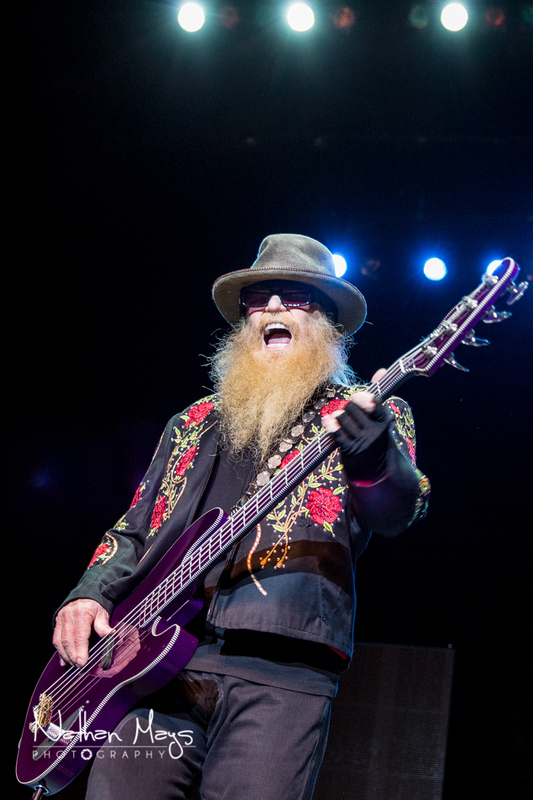 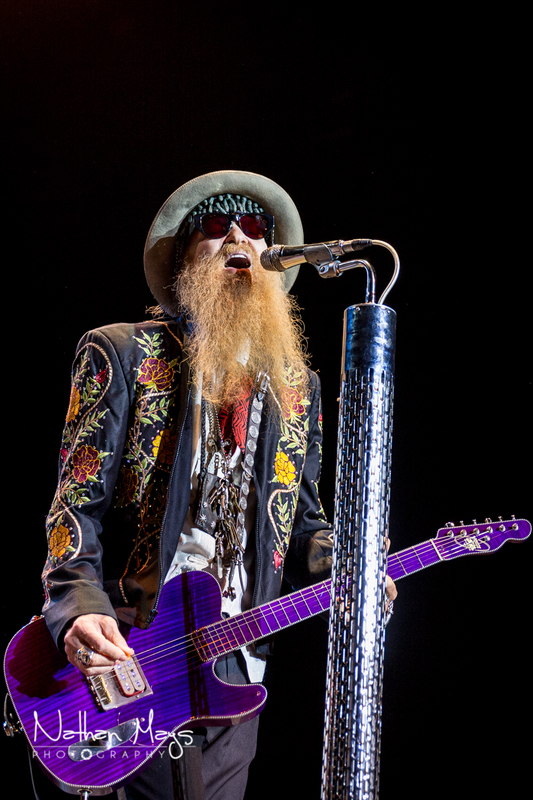 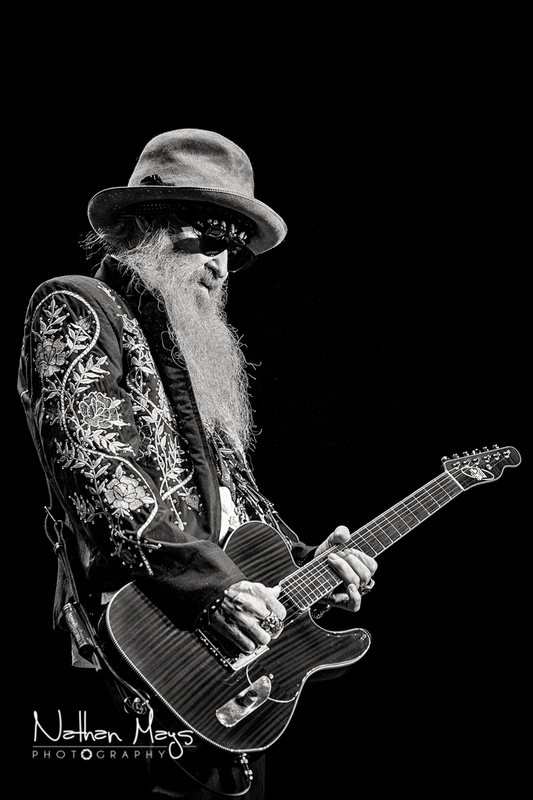 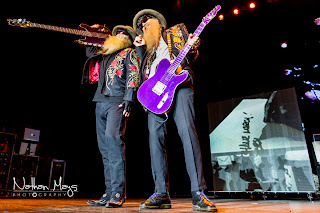 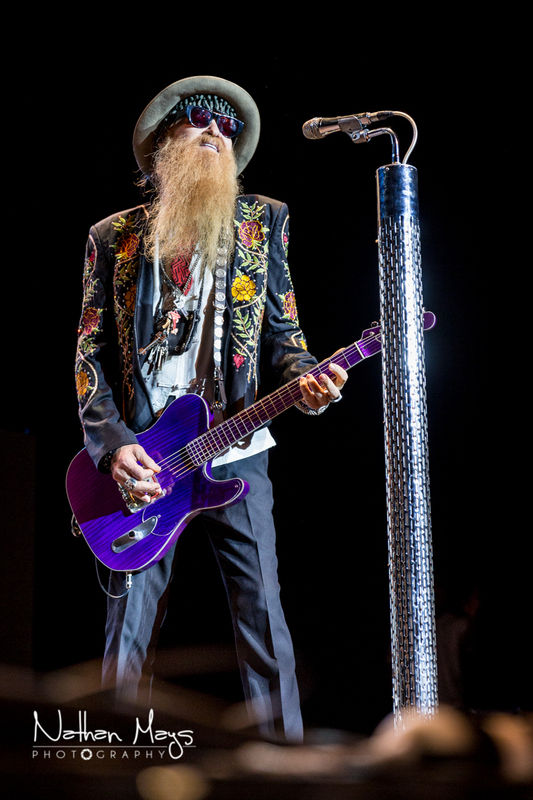 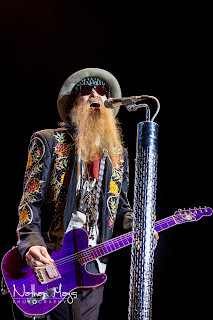 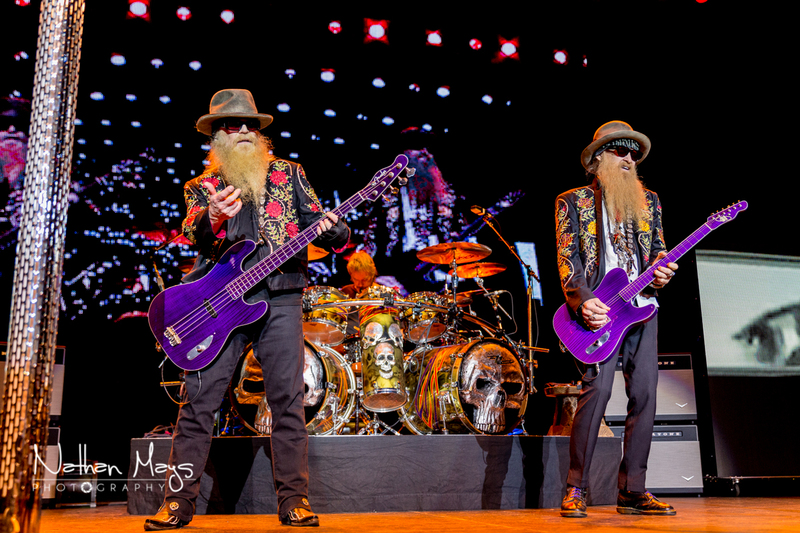 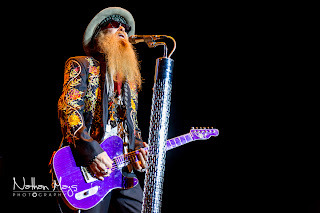 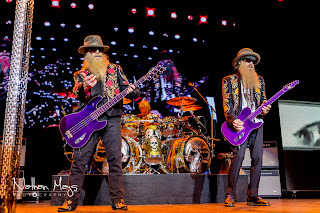 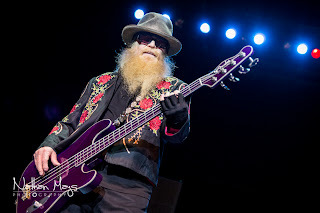 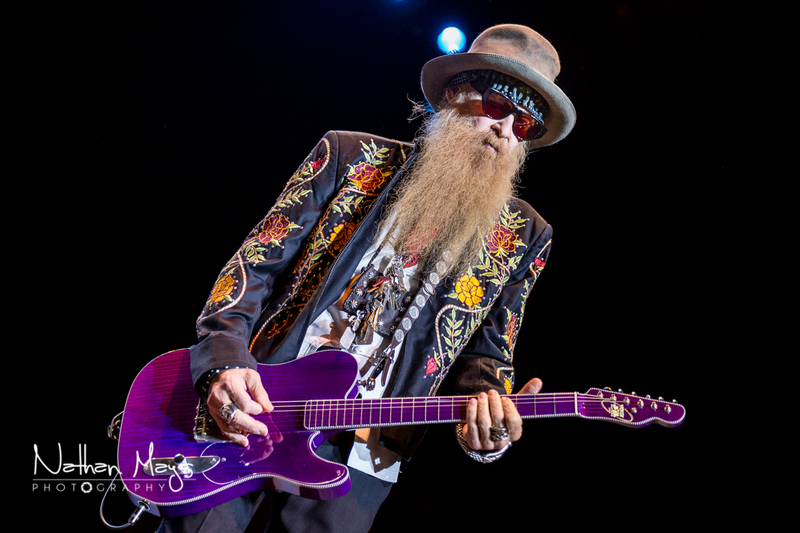 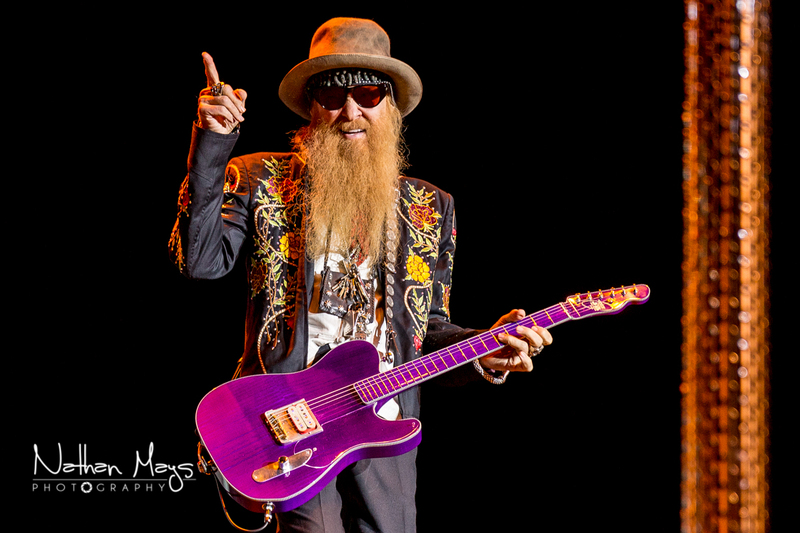 ZZ Top brought their bluesy-rock sound to the Tennessee Theatre on May 21st. 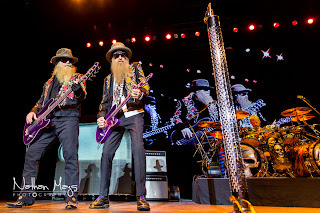 They were touring on their La Futura album, which is their first album in nine years. 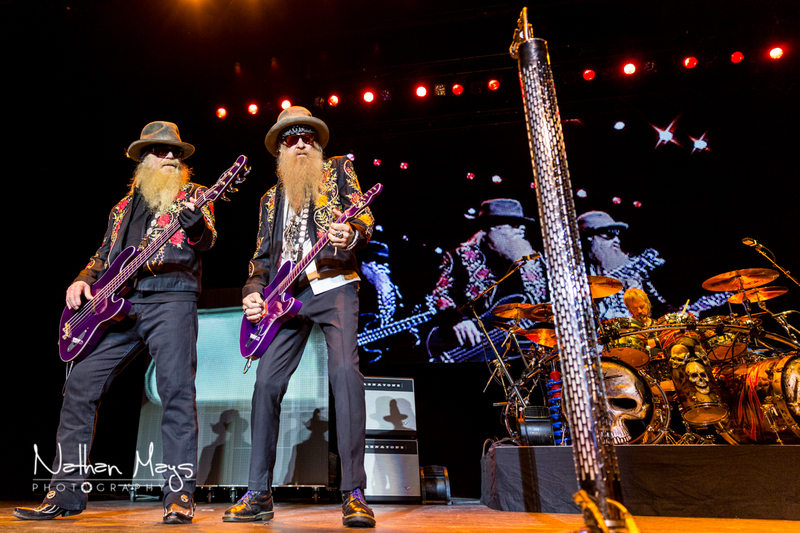 It's hard to believe that they have been touring together for over 40 years now, but it certainly showed on this night! The chemistry between the band was apparent and on display for all to see. 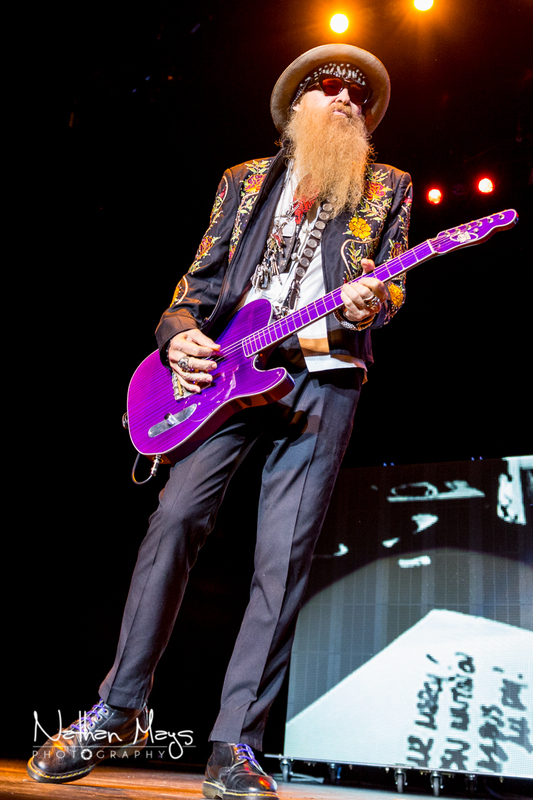 They seamlessly burned through the set list with ease and prowess. 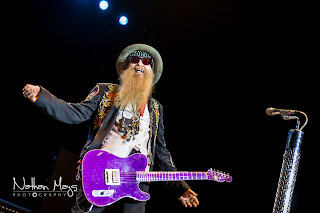 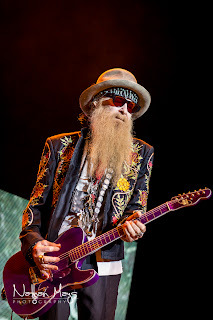 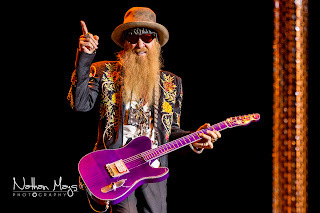 The show came to a screeching halt about halfway through the set when a fan who had made his way down to the front managed to distract Billy Gibbons to the point of stopping the show. 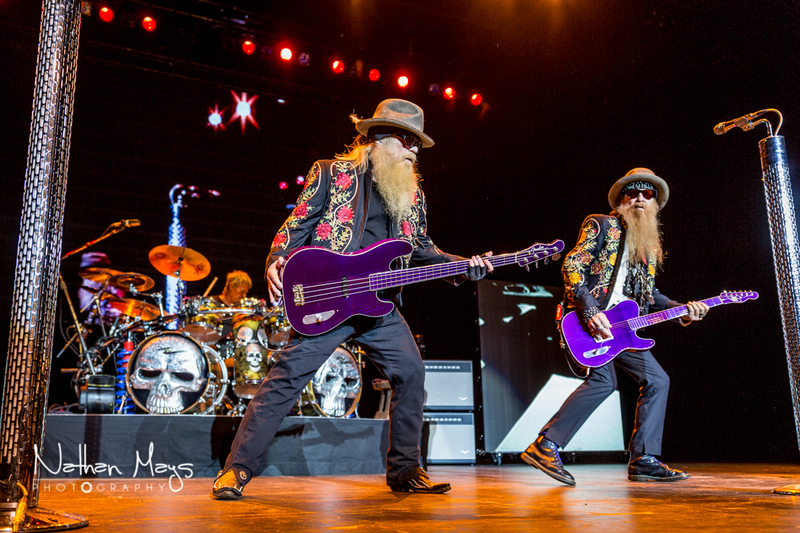 Turns out the man was waving his license plate. 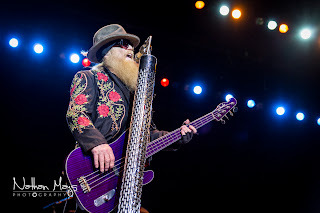 Billy walked over to the edge of the stage, took it from the guy, and held up the plate which read ZZ TOP. The crowd went crazy! Billy pulled him onstage and after giving the plate a closer look, he said, "I guess you want us to sign it, right? 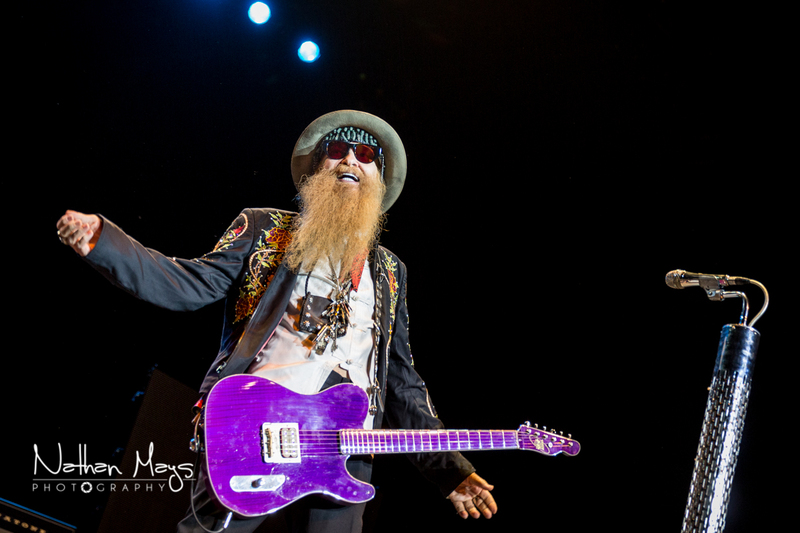 The crowd was near pandemonium by that point! 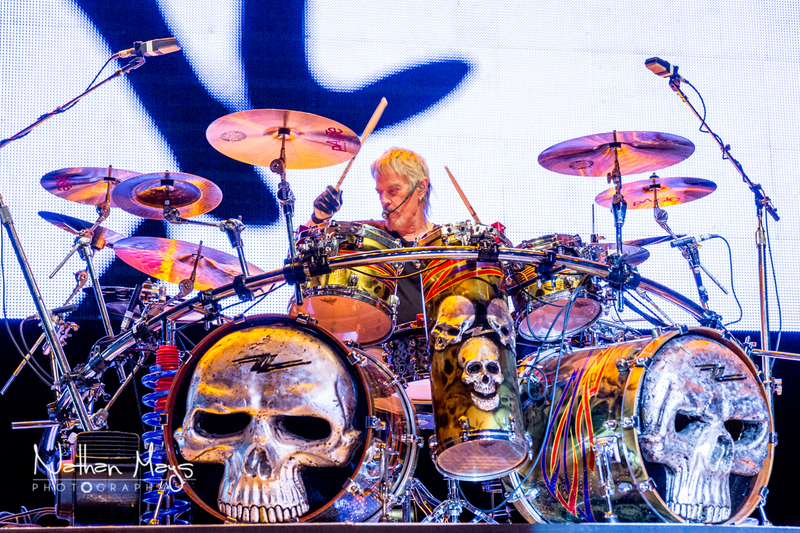 He then passed it around to all of the band members and each of them signed it. 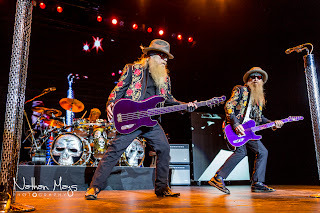 It made the guys whole week!